Clean-able has been operating since 1994 in and around the Swindon area, working for home owners, business owners and other commercial buildings in this vibrant and busy area. We have cleaned carpets and upholstery in many residential and commercial buildings with great success using our range of leading commercial machinery that generally stays outside the premises. By using the latest in machinery allows us to ensure that we can cater for both home and businesses, providing them with a superb service at affordable prices, using high end machinery to make sure we deliver a brilliant result for all customers. 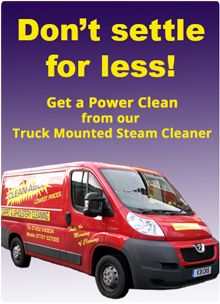 Clean-able has a good stock of all types of machines depending on the job, bringing the required equipment to your home, office or commercial premises, making sure that the job is done to the highest level of standards. We have contracts at various Swindon offices, pubs and leisure facilities, as well as putting a lot of effort into the domestic scene, trying to make businesses and homes in the Swindon area a much cleaner and enjoyable place to be.